Overwhelmed? Stressed? Feeling stretched to the max? Practice common-sense mindsets to start and finish your days with peace and purpose. Anchor your daily routine so that you feel less stretched and stressed. Get your baby, toddler, or preschooler on a relaxed schedule so you and your child can find the everyday calm you crave. I’m Julie, mom of two little ones. 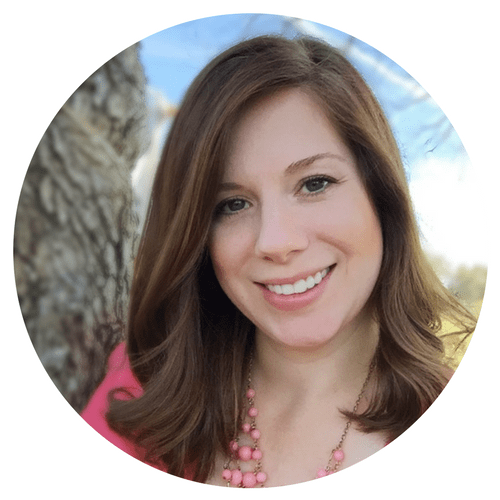 I’ve created a way of life at home with my young children that fights overwhelm, fosters connection, and leaves margin for what really matters. I get to enjoy the slow moments with my son and daughter. And here’s the kicker… I get alone time every single day. Want to know how? 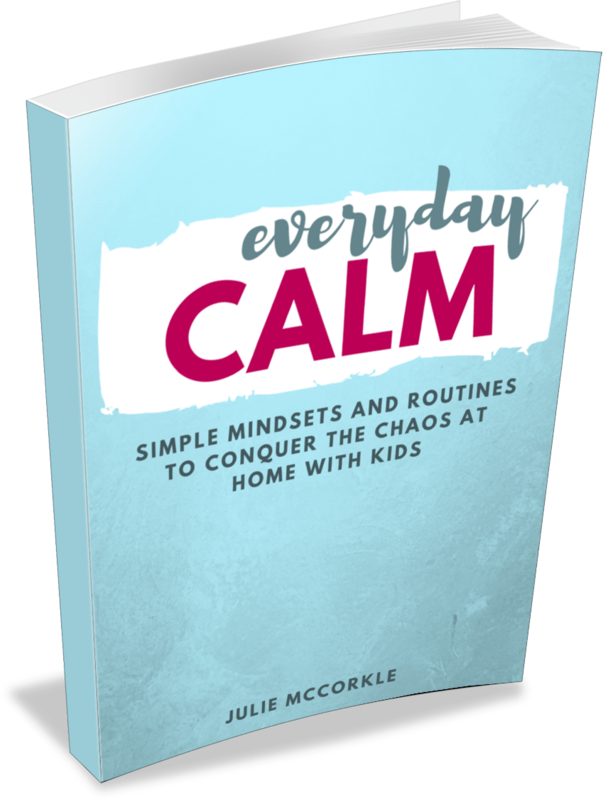 I can’t wait to share my simple routines and mindsets to help you find Everyday Calm, too! 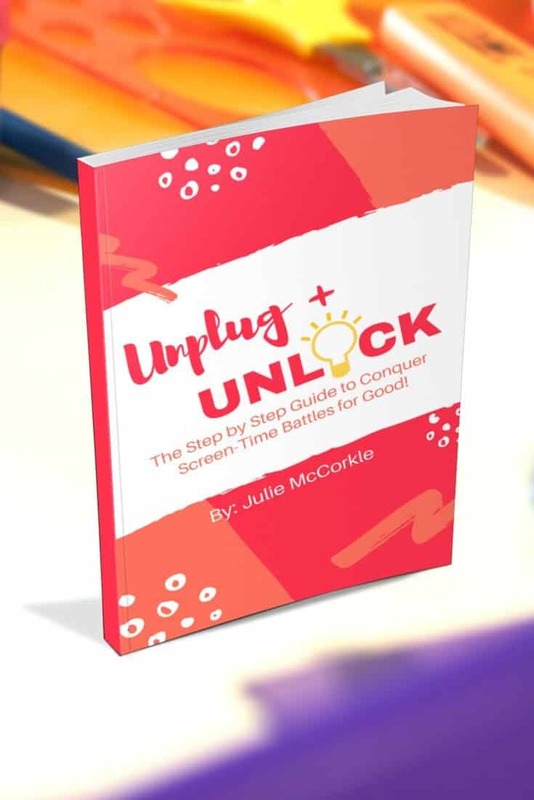 I thought this book was great, and really helpful! The idea that stood out to me the most would be “The chaos starts or stops with me.” Woah, this is so true and I didn’t realize it until I read this… I would say the anchor mindset helped me out the most… I always find it hard to balance time with my two and a half year old daughter and time to get work done. I know its not fair to expect her to have independent play all day so I need to make sure I carve out time for everything. Schedules are essential! The idea of having specific points in the day to look forward to and create consistency helps both me and my toddler. By having a consistent schedule we have so much more peace! In Chapter Two, there is an opening statement that the first step to bring calm is in calming your own self. Your own habits, your own discipline…it all starts with you. It seems like a no-brainer after you think about it, but in life we constantly want to put off that the cause is a result of this or that, but in reality, I am letting others cause chaos in my “house.” I need to find my calm to stop the chaos. This is a great book! The concepts seem simple but sometimes we need the reminder, and the simple changes make big changes. Is Everyday Calm Right for Me? 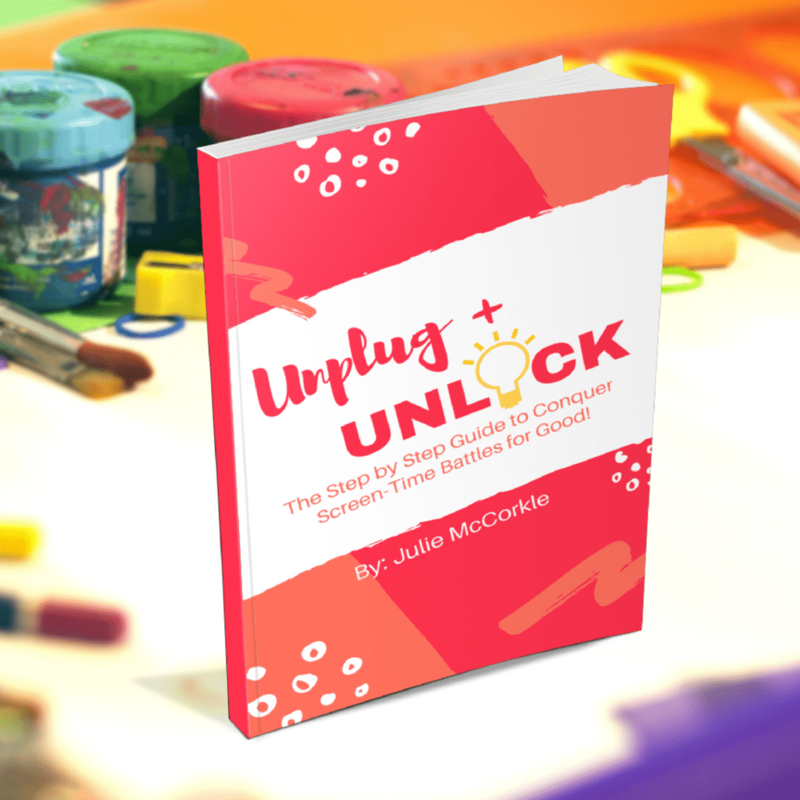 If you’re a mom with babies, toddlers, or preschoolers at home, you know that life can get CHAOTIC. So, is Everyday Calm right for you? It depends! Are you tired of just barely surviving until bedtime? Do you crave a simpler, slower daily routine for your children that leaves margin for the moments that really matter? 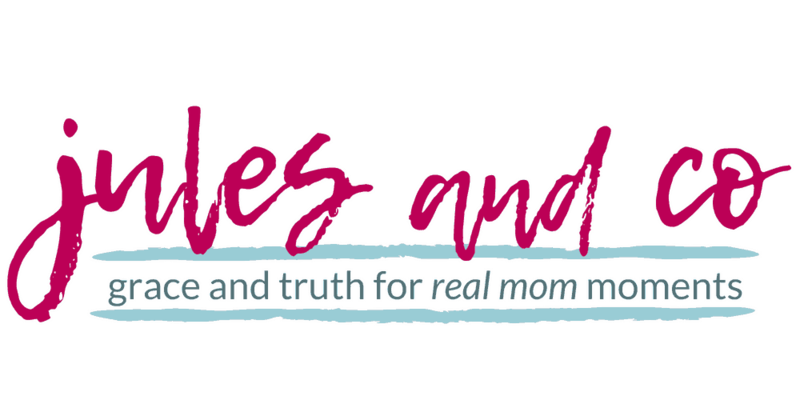 Are you ready to take a good, hard look at your own habits and mindsets so that you can find peace and calm even in this busy season of motherhood? …Then, yes! Everyday Calm is the perfect fit for you! Essential everyday mindsets to help you conquer chaos. Five anchors you must have to create a routine that works. Mama habits to help you actually get ahead and stop feeling overwhelmed. Sample schedules for babies, toddlers, and preschoolers. Tips for handling multiple children! Plus 11 pages included in the Printable Pack! *This is a digital product. 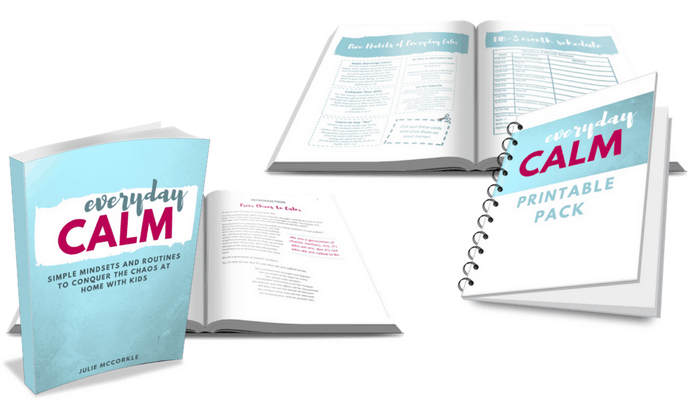 You’ll receive a PDF file that includes the Everyday Calm eBook and Printable Pack. I know it seems impossible to find everyday calm at home with your children. It’s not. I know it seems impossible to actually conquer the chaos in your daily routine. It’s not. You, mama, are called to something higher! Enough already with the overwhelm. Anything is possible. You can do this. Let me show you how!